Incorporating gross motor activities into your Montessori home learning can be a somewhat daunting prospect for some parents. 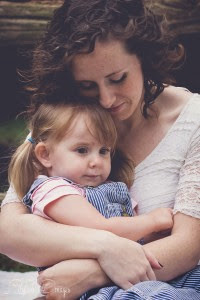 We want something that can be conducted independently, without being disruptive to other potential children in the home, while finding something that helps contribute to a calm, self-regulated environment. 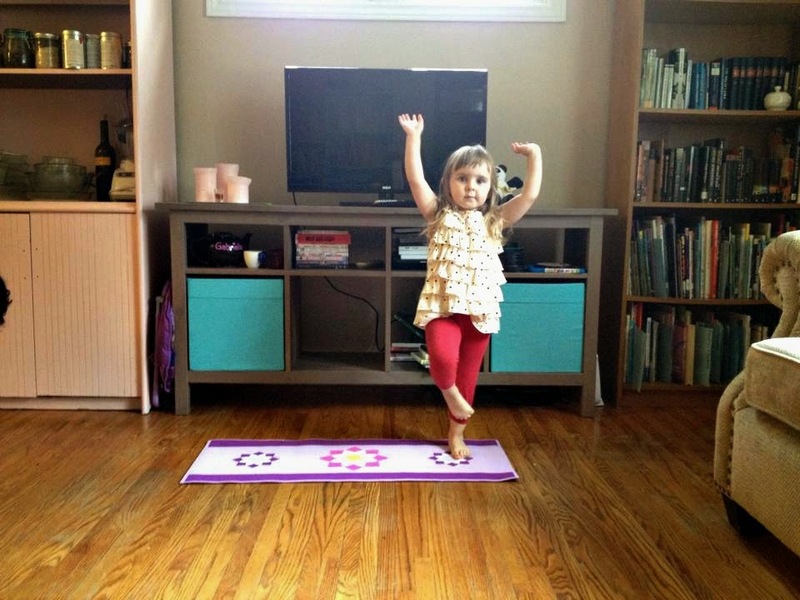 Yoga is the perfect solution, in the home or school setting. Like many Montessori activities, it starts with gathering and rolling out a mat! The first couple of times that your child engages in yoga at home, I would encourage you to join them and try to remind them of the basic yoga principles of deep breathing and listening to (and honouring) your body – “don’t do anything that hurts!” If you are new to yoga yourself, I would encourage you to call or visit a local yoga studio to ask their advice; there are also some great guides included in the G. Shardlow series that I discuss below. 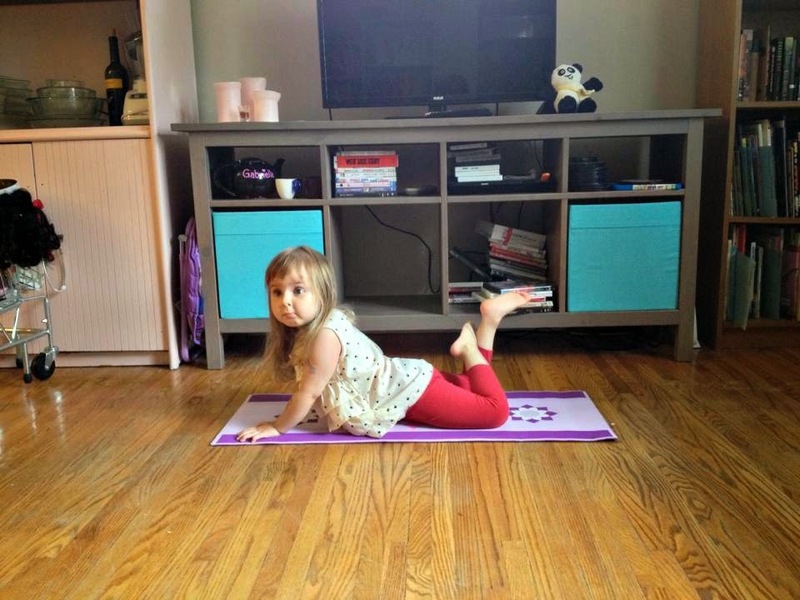 Safe poses that don’t require a lot of yogi knowledge include downward dog pose, boat pose, warrior pose, serpent pose, candle pose…the list goes on! More “advanced” poses aren't necessarily hard to do, but just require a bit of additional information (which may or may not be intuitive), for example, tree pose is quite simple but it is important to not place your foot on a joint (knee, ankle) so as not to place pressure on it. 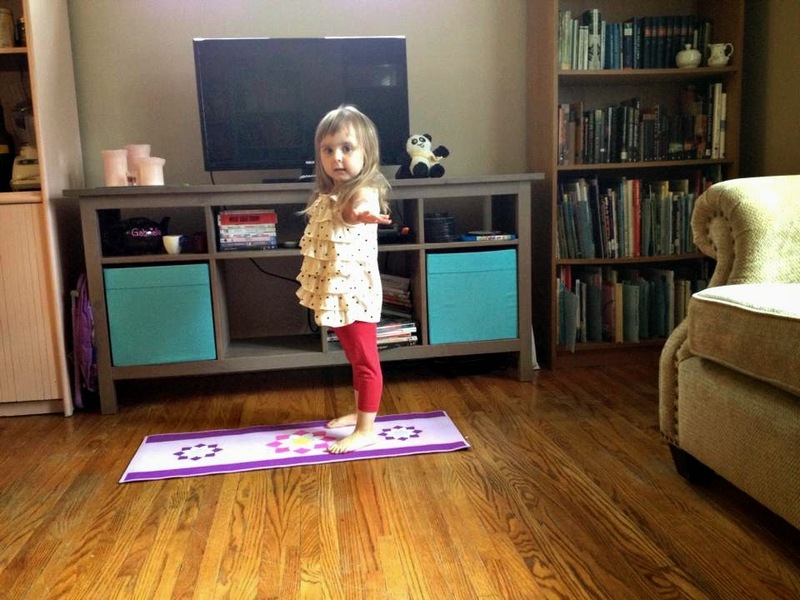 After this, there are several options on how to guide a child to independently practice yoga. While I try to join Miss G in her yoga practice as often as possible, I also like to offer materials that empower her to conduct her practice by herself. 1. Yoga “flash” cards. These could be purchased, or made by taking several pictures of your child practicing the poses. You can also find pictures of people doing the poses in a quick Google Images search. I would encourage parents not to use these as flash cards, but rather to allow children to have a deck of images and flip them over as they want to try a new pose. 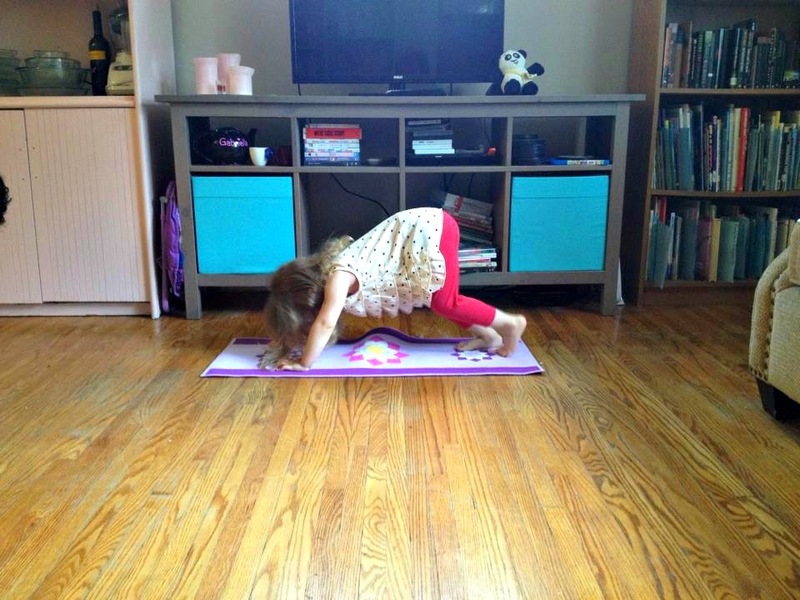 (If you really know your yoga, you can try to create “yoga sequences” for your child by placing numbers on the cards, or placing the cards on a binder ring. 2. Yoga books. We’ve tried a few different series, and my favourites are the Kids Move series which are a set of board books with “animal” poses being modeled by other children, and G. Shardlow’s series available from www.kidsyogastories.com I like Gisele’s books as an introduction to yoga, as they can be worked into an active story time and are rooted deeply in multiculturalism. Her books contain a guide at the back with an index of the poses shown throughout the book and some tips for parents. 3. Yoga DVDs. 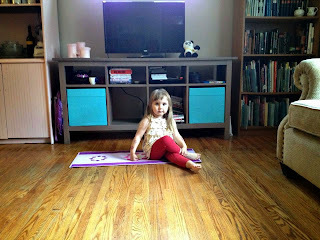 We tried the Gaiam DVD series, which is a bit dated but there is no obtrusive music or cartoonish graphics that would make the series distracting or overly-stimulating. This would be a good compromise for a child who you are trying to “wean” off tv! 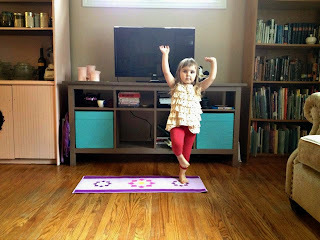 I hope you enjoy incorporating yoga into your daily routine as much as we have! 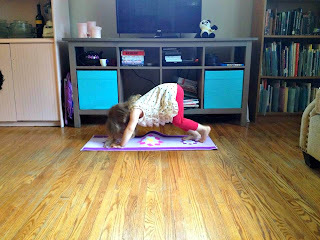 Please comment if you have any questions or concerns about how to help your child start their own yoga journey.